The United States Department of Transportation (DOT) has issued an emergency order to ban all Samsung Galaxy Note7 smartphone devices from all air transportation in the United States. This order is being done for safety reasons. Individuals who own or possess a Samsung Galaxy Note7 device may not transport the device on their person, in carry-on baggage or in checked baggage on flights to, from, or within the United States. This prohibition includes all Samsung Galaxy Note7 devices. The phones also cannot be shipped as air cargo. The ban became effective on October 15, 2016. The reason for this ban is probably obvious to those who have been following the news. 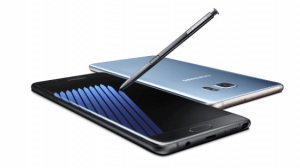 On October 11, 2016, Samsung suspended the manufacture and sale of the Samsung Galaxy Note7 device after several incidents where the device has overheated and caught fire. Samsung has issued a voluntary recall on all Galaxy Note7 Devices. This is something to keep in mind as we head into the holiday season. There could be people out there who are unaware that they cannot bring their Samsung Galaxy Note7 device onto the plane. One could reasonably assume that this would lead to delays. The DOT states that passengers who attempt to travel by air with their Samsung Galaxy Note7 device will be denied boarding. Passengers who try to evade the ban by packing their phone in checked luggage are violating the ban and may be subject to criminal prosecution in addition to fines. Interestingly, the DOT emergency order says: The Samsung Galaxy Note7 device is considered a forbidden hazardous material under the Federal Hazardous Material Regulations which forbid airline passengers or crew from traveling with lithium cells or batteries or portable electronic devices that are likely to generate a dangerous evolution of heat.